John O’Hagan heads the Laser and Optical Radiation Dosimetry Group at Public Health England. This research group covers all aspects of optical radiation dosimetry, including both the beneficial and detrimental effects of optical radiation on people. The group also operates a UV monitoring network across the UK, Eire, Gibraltar and Cyprus. He received his PhD from Loughborough University for research on risks arising from the use of lasers in the entertainment industry. 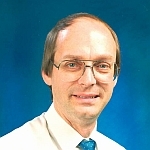 He is a Visiting Professor at Loughborough University where he has organised training courses on laser safety jointly with the University since 1992. He is a Chartered Scientist, a Chartered Physicist and a Chartered Radiation Protection Professional. He is also a Fellow of the Institute of Physics, Laser Institute of America and a Senior Member of SPIE. John is Director of Division 6 “Photobiology and Photochemistry” of the International Commission on Illumination (CIE), Convenor of the International Electrotechnical Commission Technical Committee 76 “Optical Radiation Safety and Laser Equipment” Working Group 8 “Development and maintenance of basic standards”, Chairman of the British Standards Committee EPL/76 “Optical Radiation Safety and Laser Equipment” and is a member of a number of other national and international committees. John was appointed a Member of the ICNIRP Scientific Expert Group (SEG) in March 2013.